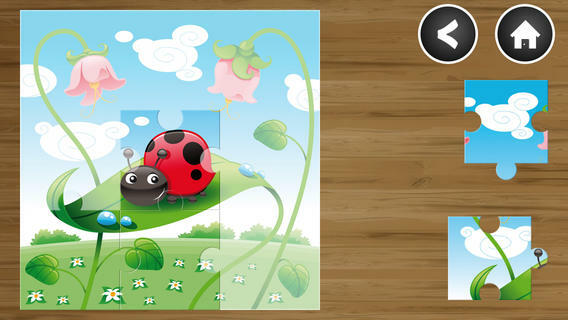 Fun for Kids HD Free is a charming iPhone and iPad compatible learning and education app for children. Developed by Tycero AB, Fun for Kids HD features an engaging picture book and several mini-games paired with bright, colourful visuals and an up-beat soundtrack. The picture book part of the app presents the child with a photo, which if tapped, pops up the name of the animal or object on the screen and is also pronounced clearly by the narrator. 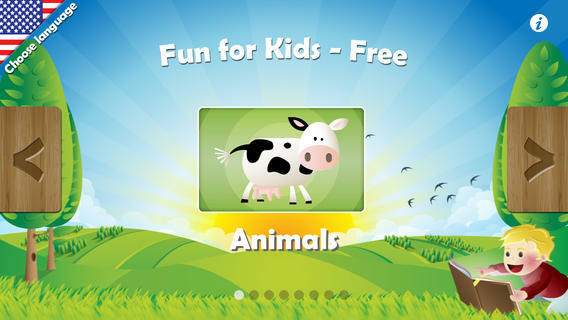 Fun for Kids HD Free includes multiple picture books, each with 5+ photos – Animals, Baby Animals, Vehicles and Things. 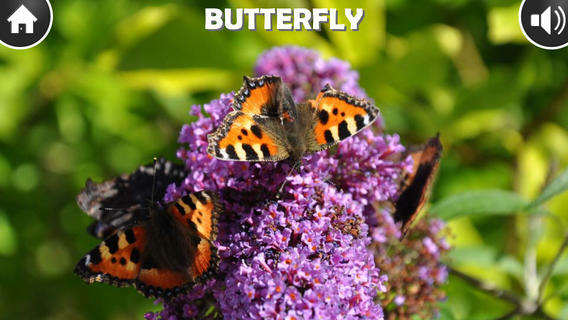 The photos all look great and are a fantastic way for kids to learn to recognise and speak simple words. The free version of Fun for Kids comes with 3 mini-games – One out of Four, Jigsaw Puzzle and Memo Match. All lessons and games are also available in English, German, Spanish and Swedish. 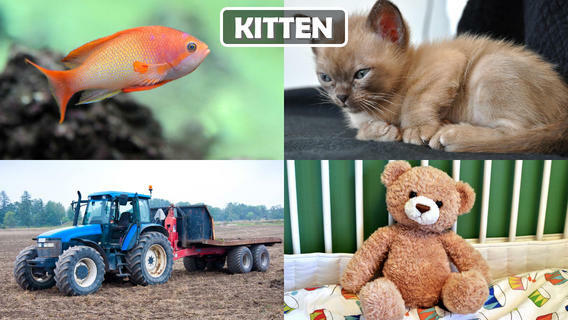 One out of Four presents the child with 4 images and one word. To be successful, you need to match the word on the screen with the correct corresponding image. Tap the wrong photo and you’ll hear a beep, tap the right one and you hear the sound of that animal or object. The jigsaw puzzles are all 9-pieces – perfect for small hands. As you place each jigsaw piece correctly, a new piece appears until all have been placed on the board. The final game is Memo Match and is a traditional memory card game. The child taps on a grid of cards to reveal an item. Reveal two of the same item and you eliminate those cards and move closer to completing the level. Fun for Kids HD is a well-presented, professionally developed game for kids. It teaches a number of language skills in an entertaining fashion and is a perfect iPhone or iPad app for your young child. Fun for Kids HD Free iPhone App Review. Requires iOS 6.0 or later. Compatible with iPhone, iPad, and iPod touch. This app is optimized for iPhone 5.